Old but gold! 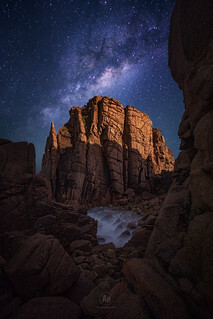 Another version of my night shot at The Pinnacles down in Victoria. Unfortunately, the moon wasn't rising as fast as I hoped, so I got only to capture the monolith moonlit half way only.